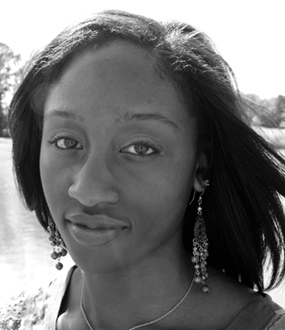 Kyra McCarty is a May 2010 graduate of the Alabama School of Fine Arts in Birmingham, Alabama, receiving her diploma with a concentration in dance. In May 2014, she graduated from Southern Methodist University in Dallas, Texas with dual degrees in Dance (BFA) and Mathematics (BS). Throughout her dance career, she has received scholarships to train with Tremaine Dance Convention, Hubbard Street Dance/Lou Conte Dance Studio, Bates Dance Festival, and Dallas Black Dance Theatre. Additionally, she has had the opportunity to train at various summer and winter intensives including Alvin Ailey American Dance Theater, International Ballet Competition, Ballet West, Ballet Memphis and the International Association of Blacks in Dance (IABD). She has performed works by notable choreographers such as Fabrice Lemire, Martha Faesi, Allyne D. Gartrell, Jamal Story, Millicent Johnnie, and Jawole Willa Jo Zollar. 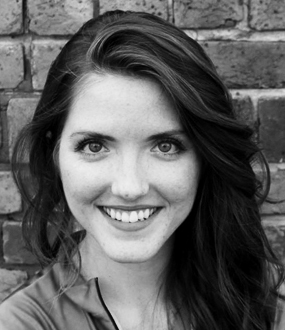 Ms. McCarty has numerous years of teaching experience with Dallas Black Dance Academy, Oxford Ballet School and the Deborah Kaye School of Dance both in Oxford Mississippi. Currently, Ms. McCarty performs and is rehearsal director for 8&1 Dance Company under the direction of Jill S. Rucci, in addition to serving as dance instructor and company director for Rowlett Dance Academy, owned and operated by Carol Ann Maggiotto. She loves working with and inspiring students by nurturing their passions and helping them reach their full potential. Ms. McCarty is a native of Oxford, Mississippi. Lauren graduated from Booker T. Washington High School for the Performing and Visual Arts. She has attended numerous summer intensives including Debbie Allen, Joffrey Ballet, Point Park, New York Baroque, and Bates Dance Festival. 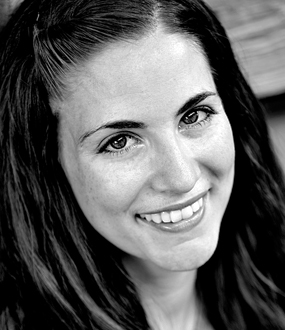 Lauren has been fortunate to work with great choreographers such as Desmond Richardson, Dwight Rhoden, Catherine Turocy, Robert Battle, Jessica Lang, Debra McWaters, Edmond Niles, Bebe Miller, and Kihyoung Choi. She spent several seasons with Events in Motion “Millennium Dancers” and has performed all over the DFW metroplex. As a part of Five Star Entertainment Company, Lauren danced for the former president George W. Bush and former New York mayor Rudy Giuliani. She will also make an appearance in Simple Sparrow’s upcoming fall concert. Lauren received her BFA in Dance Performance from the University of North Texas. Currently Lauren is a dance instructor and is excited to become a part of the 8 & 1 family. Hannah is currently studying Kinesiology and Dance at Chapman University in Orange, California. She spent several years as a member of the Rowlett Dance Academy Competition Team and Allegro Ballet Company. She is a current member of the Tremaine National Performance Company and travels the country as an assistant for the Tremaine Dance Conventions & Competitions. She has choreographed for Sachse High School's pop group, Mane Attraction, for the past two years. Hannah understudied as an apprentice for 8&1's inaugural season and is now very excited to be company and continue performing with 8&1 in future performances. Mikaela Fuller is an experienced and versatile dancer who has worked for various notable choreographers such as Khaleah London, Maurice Causey, artistic directors Amy Cain and Dawn Dipple of Revolve Dance Company, artistic directors Andy Noble and Dionne Sparkman Noble of Noblemotion Dance, and artistic director Dana Nicolay of Nicolay Dance Works. Mikaela received a BFA in Dance Performance from Sam Houston State University in 2016. While at school, she was a recipient of several scholarships including the Jonathan Charles Endowed Scholarship and a dance department performance scholarship, which she held for 4 years. Additionally, Mikaela attended the American College Dance Association South-Central conference in both Huntsville and Lubbock, TX. She has experience performing at diverse venues such as the Cynthia Mitchell Woods Outdoor Pavillion, where she performed as the Houston Ballet’s opening act, The Wortham Theatre for the annual Dance Houston Festival, Ovations Night Club, The Hobby Center for the Performing Arts as a guest artist for Noblemotion Dance, and many more. Mikaela is excited to be a new member of 8&1 Dance and looking forward to growing with the company. 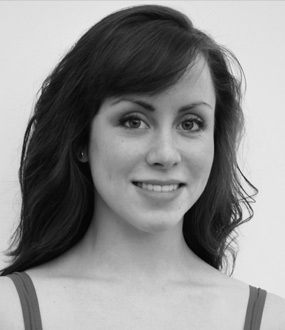 Kendra is currently an assistant director at Dance Company of Wylie. She is happy to announce she is going back to school to study for a Masters of Arts in teaching. During Kendra’s last semester as an undergrad at TWU, she joined 8&1 Dance Company and has enjoyed dancing locally and traveling with 8&1. Kendra is excited for the upcoming 8&1 season. Ariela Rodarte grew up in McKinney, TX. She started dancing in high school at The Dance Movement in Plano and continued her training at Sam Houston State University (SHSU) where she received a BFA in Dance. She has had the opportunity to study under esteemed choreographers including Andy and Dionne Noble of NobleMotion Dance Company, Elijah Gibson, Amy Cain and Dawn Dippel of Revolve Dance Company, and Bliss Kohlmyer. 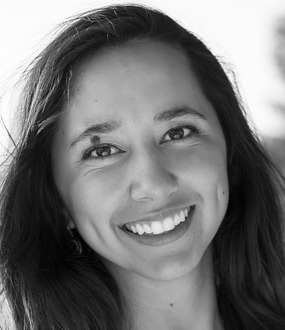 While attending SHSU, Ariela had the opportunity to study dance abroad in Lucca, Italia, as well as dance professionally in a show sponsored by NobleMotion in Houston, TX, and in Wanderlust Dance Project Directed by Addison Holmes for Giovanni Christian and Krista Jennings Langford in Dallas, TX. Upon graduating she performed with 8&1 Dance Company in the “In The Spirit” show and is excited to join their dance family. Ariela has trained in various styles consisting of modern, ballet, jazz, contemporary, hip-hop, and aerial silks. She is currently an instructor at Studio Dance Centre, Studio 3 and The Dance Movement. She is thrilled to begin her first season dancing with 8&1 Dance Company..
McKenzie received her BFA in modern dance performance from the University of Oklahoma. She grew up in Dallas dancing competitively and graduated from Booker T. Washington High School for the Performing and Visual Arts. McKenzie has had the opportunity to perform works by various artists such as Donald McKayle, Derrick Minter, Robert Battle, Austin Hartel, Jessica Lang, and Christopher Vo. 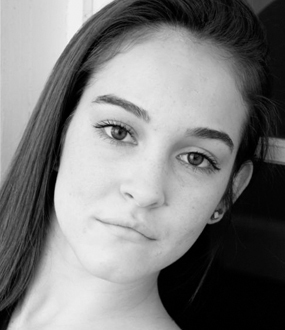 She has attended numerous summer intensives such as Point Park, Jose Limon, and Doug Varone and Dancers. Currently McKenzie is a dance instructor and choreographer and is excited to become a member of the 8&1 dance company. McKenzie received her BFA in modern dance performance from the University of Oklahoma. She grew up in Dallas dancing competitively and graduated from Booker T. Washington High School for the Performing and Visual Arts. McKenzie has had the opportunity to perform works by various artists such as Donald McKayle, Derrick Minter, Robert Battle, Austin Hartel, Jessica Lang, and Christopher Vo. 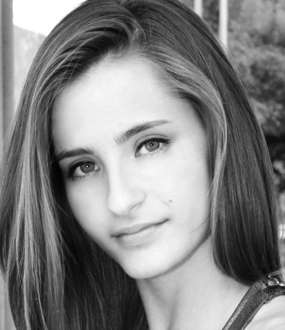 She has attended numerous summer intensives such as Point Park, Jose Limon, and Doug Varone and Dancers. Currently McKenzie is excited to be a member of the 8&1 Dance Company. Avery D. Wilson, a native of Baton Rouge, LA, is an accomplished dancer, singer, choreographer, and actor who loves the arts. He is the CEO/Founder of the MOKA Cheerleading and Dance Association (Motivating Our Kids to Achieve), and the Executive Director of the XLR-8 Nonprofit Organization. A graduate of Southern University, he began his studies of dance and theatre under the Mid-City Dance Project, and later studied at Studio Harmonic of Paris, France, and the Alvin Ailey American Dance Theatre of New York. 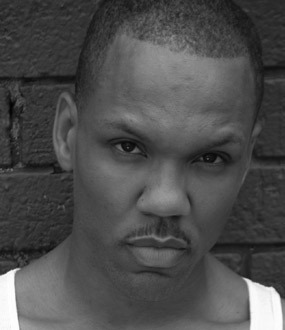 Wilson has toured with industry directors and producers; and has performed works by notable choreographers including Bruce Wood, Talley Beatty, & Christopher Huggins. He has choreographed a variety of works including musical theatre credits Beauty and the Beast, Fame, Smokey Joe’s Café, and Hairspray, and a self-composed theatrical dance production What You Believe. Avery is blessed to continue his third year as a company member with Jill Rucci’s 8&1 Dance Company.